www.fabricationfacility.com | News | Port of Belledune launches new micro-site! Belledune NB -The Belledune Port Authority (BPA) officially launched a micro web-site to promote Industrial Fabrication and the Belledune Modular Fabrication Facility this morning! A straightforward design allows viewers to access the information they are looking for, with links to the Port’s main website for any additional information. With the ever-growing need for modular fabrication, this micro-site will assist the BPA reach new markets; any information one would want about the Fabrication Facility is now easily accessible with www.fabricationfacility.com. 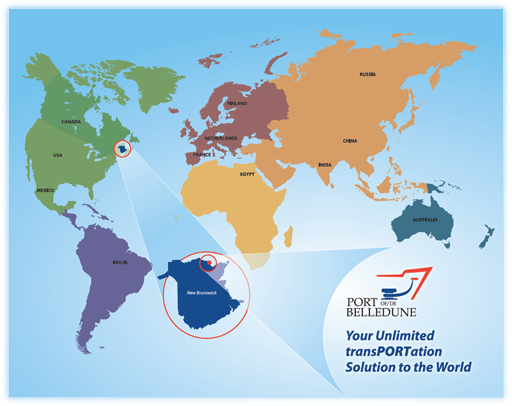 The Port of Belledune is the solution and can assist your company in all sectors of industry. New Brunswick has the labor, the training support for growth, the facilities and the infrastructure ideal for global leaders.